Staff on Opening Registration Day in 1955. 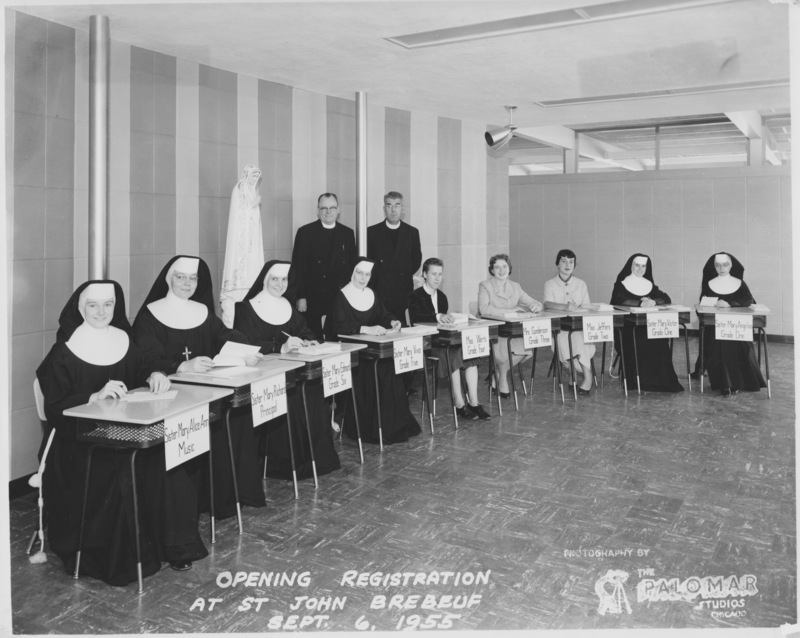 St. John Brebeuf Grammar School opened in 1955 with six nuns, three lay teachers, and 420 students in grades one through six. In 1956 construction began on six more classrooms and a hall, and the school grew to 550 children. The first graduating class was in 1958, with 62 students receiving diplomas. By 1961, the school population had grown so large that the primary grades had split sessions, one group attending in the morning and the other in the afternoon. In 1962, twelve classrooms were added to the school to accommodate 1,470 children. By 1964, the last addition to the school was completed, bringing the school to 38 classrooms. School enrollment peaked at 1,600 students in 1967. There were five classrooms for each grade from one through five. 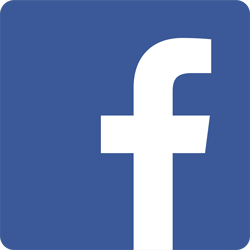 An elected school board was created in 1968, with nine lay members to work with the pastor and the school principal in all matters related to curriculum and finance. SJB School opened its doors to the first kindergarten class in 1976. In 1978, the “Jubilee Year” for St. John Brebeuf Parish, 2,620 families and 699 school children were being taught at SJB School by 12 sisters and 20 lay teachers. The SJB Preschool was established in 1980 to provide an affordable Catholic early-childhood education for parishioners and local residents. 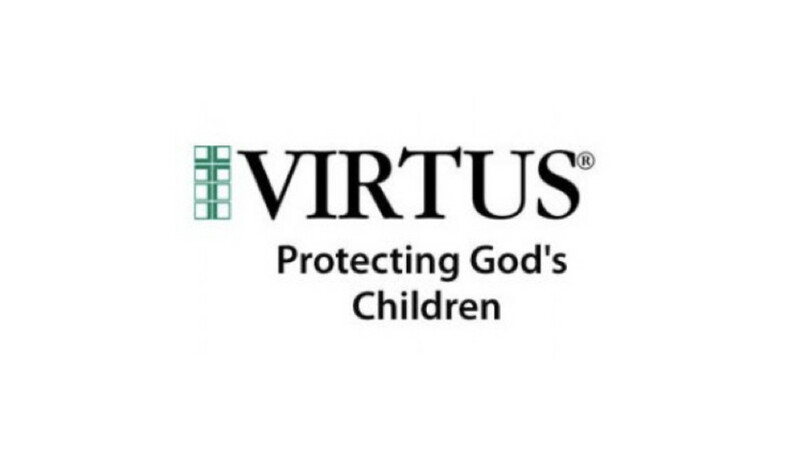 The after-school program for students in grades kindergarten through eighth grade began in 1985. In 1997, the Commemorative Walkway between the church and the school was started as a way to help support special school projects. The committee was Fr. Robert Banzin, Principal Margaret Whitman, Pete Zonsius, Tony LaCorte, Joe LoVerde Jr., and Don Wiedemann. In 1998, the school’s iconic wood carving, a life size, sculpture titled “Jesus Welcoming All Children” was installed at the front entrance of the school. The school’s STEM (Science Technology Engineering and Math) Lab opened in 2010, and it was dedicated to former teacher and visionary to the program, Lynn Baer, in 2012. In 2014, as part of a new technology initiative, Nexus 7 tablets and Google Chromebooks were incorporated into the curriculum and by 2015 each SJB student had an individual Chromebook or tablet. SJB School has a long history of excellence. 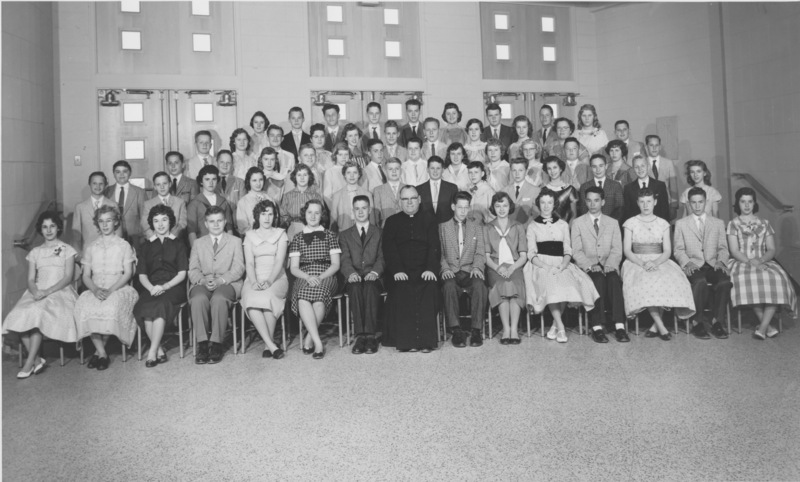 To the right is a photo of the first 8th-grade graduation class, with 62 students, in 1958.